The kick from cracking open the new season's cider is an experience to be shared. As the season extends the depth of character deepens still. 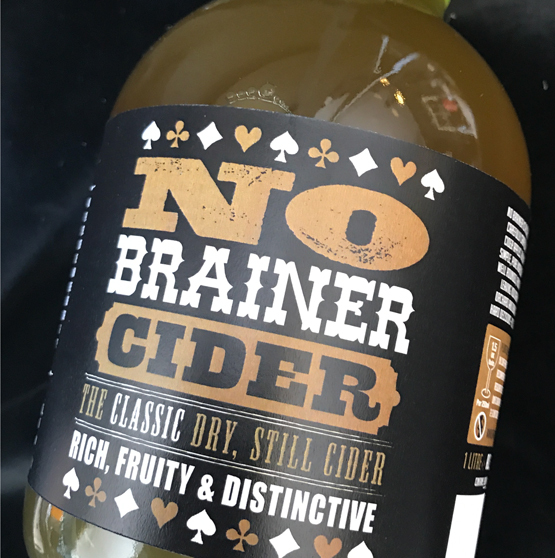 NoBrainer Classic celebrates the best of the English cider orchard with this authentic full flavoured, blended bone dry cider. Big bittersweet bear hug with monster depth of tannic flavour that satisfies to the core. Gripping, Rich and True. Nice with stinky cheese.